Part of this post will be for the baller status members of the BITM nation only. But for all them Jay Dee heads, this gumbo of news will just be cool to read about. Ma Dukes and company have spent about a year putting together a limited release collector's box set for the late great J Dilla. I first heard about this earlier in the week and was geeking out. The images alone show the love and careful craftsmanship that went into the construction of this box set. First the case: it is handmade custom wood in the shape of Dilla's first sampling machine, the E-Mu Systems SP-1200. Then inside the case: 4 Batches vinyl records, 1 Lost Scrolls cassette tape, The King of Beats booklet, and a 3.5in floppy disk (ha..which uploads to actual SP-1200 machine). Now I've seen other box sets and whatnot that offer cassette tapes, (Big K.R.I.T. 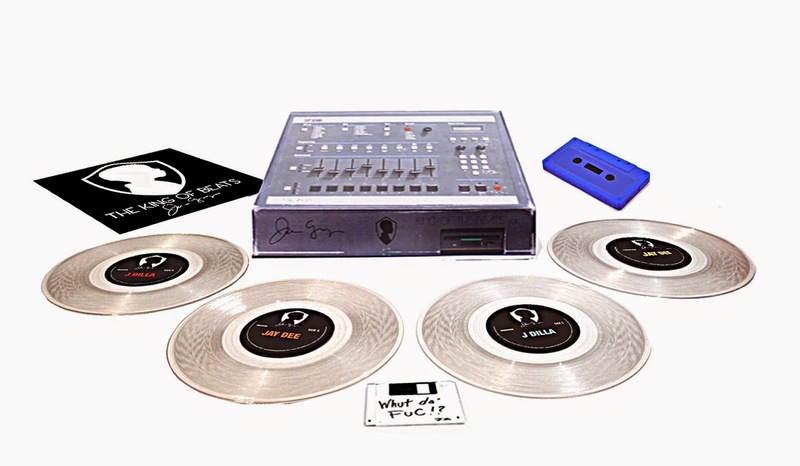 has a bundle mixtape coming out that offers cassette tapes) but I've never seen a set that offers a floppy. The reason for this is because the way you uploaded samples to the SP-1200 was through a floppy disc. The SP-1200 is arguably the iconic sampler from the golden era of hip hop. This drum sequencer and sampler is what gave birth to the gritty NYC sound. Ironically it was the limitations of the SP-1200 that created the scratchy/fuzzy/dirty sounds that is now synonymous with 90s New York hip hop. Today the MPC is the sampler of choice for most producers, but back then the SP-1200 was the essential sampler. The list of greats who started their careers with this machine include: DJ Muggs, DJ Premier, DJ Quik, Dr. Dre, Havoc, Lord Finesse, Mannie Fresh, Pete Rock, Q-Tip and RZA. Now for that baller's only section. While I have no doubt that this set is worth every penny, it will run you $252.74. Since I ain't at the baller level to cop this, I hope some of uall do and hit the BITM crew with a review. Go to J Dilla The King of Beats site here. And peep rare and unreleased Dilla tracks featuring Slum Village and produced by Young RJ below.